Submissions for the 2019 Cundill History Prize are now closed. The world’s leading history prize (US$75,000) has announced an exceptional shortlist of award-winning historians tackling issues from climate change to the political power of the pope, from American heroism to how factories have shaped our societies, from Stalin’s greatest crime to Jewish involvement in Germany’s war machine. The shortlist was revealed at an exclusive event at Canada House as part of London’s inaugural Festival America today. 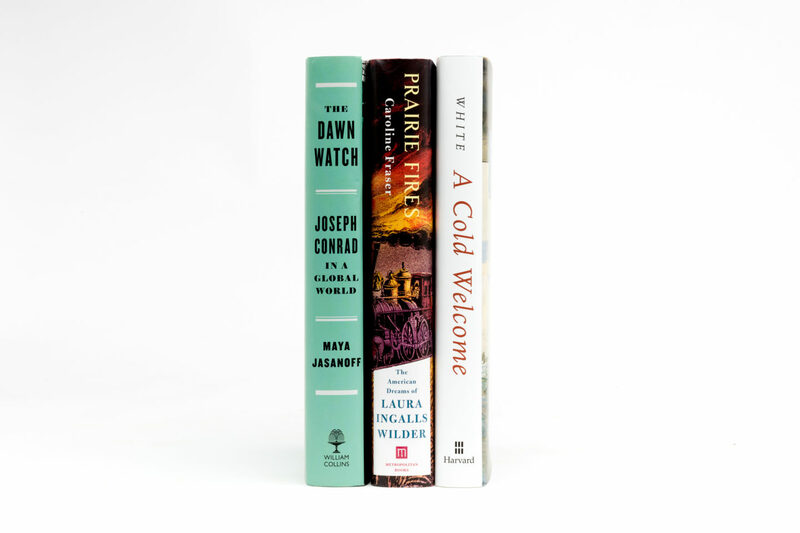 With three Pulitzer Prizes and many other awards between them, the world-leading authors chosen by the prize’s eminent jury of fellow historians represent some of the highest quality scholarship produced anywhere in the world. The international Cundill History Prize is run by Montreal’s McGill University, one of Canada’s most global and prestigious universities. The Cundill History Prize honours the abiding vision of its founder, the McGill alumnus F. Peter Cundill: One of the most highly regarded global investors of his time, the globe-trotting philanthropist believed passionately in well-written works of history as the best foundation for a better informed public debate. 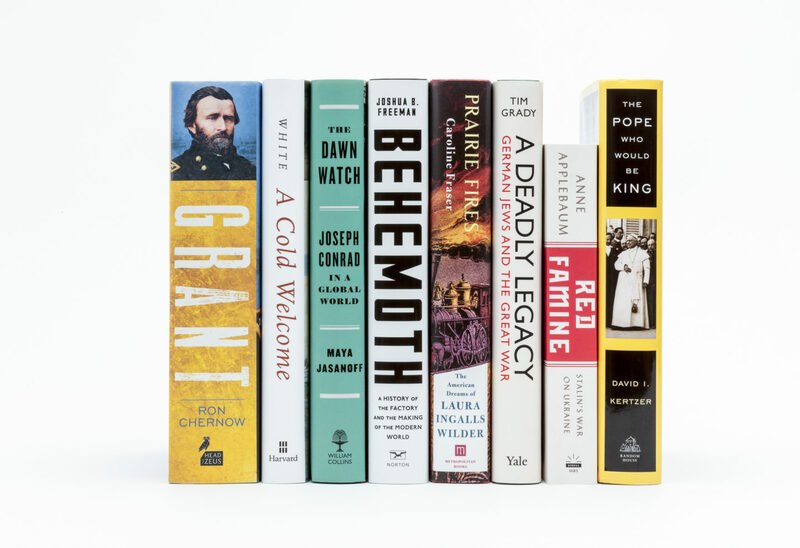 The below eight books are in contention for the US$75,000 prize, with the two runners up receiving US$10,000 each. The three finalists will be announced in Toronto, on October 31. The winner will be revealed at the Cundill History Prize Gala in Montreal, on November 15, alongside a series of events at McGill University including the annual Cundill History Prize Lecture, which will be delivered by the British historian Daniel Beer, who won last year’s prize for The House of the Dead: Siberian Exile Under the Tsars, his ground-breaking study of Siberian penal colonies. The 2018 winner will join an alumni list of world-leading historians including Daniel Beer (2017), Thomas W. Laqueur (2016), Susan Pedersen (2015), Gary Bass (2014), Anne Applebaum (2013), Stephen Platt (2012), Sergio Luzzatto (2011), Diarmaid MacCulloch (2010), Lisa Jardine (2009), Stuart B. Schwartz (2008). Mark Gilbert (Chair) is Professor of History and International Studies at the Bologna campus of the School for Advanced International Studies (SAIS) of the Johns Hopkins University. Educated at the University of Durham and the University of Wales (PhD 1990), Gilbert previously taught at Dickinson College, the University of Bath, and the University of Trento. Carol Berkin is Presidential Professor of History, Emerita, of Baruch College & The Graduate Center, CUNY. She received her B.A. from Barnard College and her PhD from Columbia University where her dissertation received the Bancroft Award in 1972. She has written extensively on women’s history, the American Revolution, the creation of the Constitution, and the politics of the early Republic. Caroline Elkins is Professor of History and of African and African American Studies at Harvard University, Visiting Professor at Harvard Business School, Affiliated Professor at Harvard Law School, and the Founding Director of Harvard’s Center for African Studies. She has been a contributor to the New York Times Book Review, The Guardian, The Wall Street Journal, The Atlantic Monthly, The Washington Post, and The New Republic. Peter Frankopan is Professor of Global History at Oxford University, where he is founding Director of the Oxford Centre for Byzantine Research and Senior Research Fellow at Worcester College. He has been Stanley J. Seeger Visiting Fellow in Hellenic Studies at Princeton, Scaliger Visiting Professor at Leiden and Presidential Scholar at the Getty Center in Los Angeles. Jeffrey Simpson is Canada’s most decorated journalist and the author of seven books. He has won all three of Canada’s leading literary prizes – the Governor-General’s award for non-fiction book writing, the National Magazine Award for political writing, and the National Newspaper Award for column writing. He has served as a juror for the Cundill History Prize on three previous occasions.